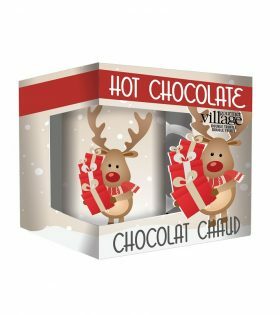 The Retro Red Truck collection includes Mini Hot Chocolates, Mason Drinking Jar, Gift Cup, Mug Gift Set and Retro Hot Chocolate Gift Box. 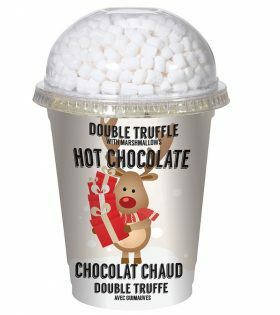 Contains 6 hot chocolate mini’s : 2 Polar Bear (White), 2 Red Truck (Double Truffle) & 2 Reindeer (Double Truffle with Marshmallows). Mug with Double Truffle Hot Chocolate with Marshmallows. 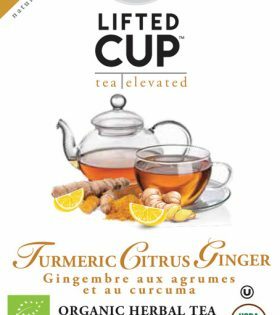 Each mug holds 13 oz/385 ml.